We have a tentative agreement from Anna Tunnicliffe to be our February speaker at the AYC membership meeting, just as Anna has been awarded her second Rolex ISAF Sailor of the Year honor. 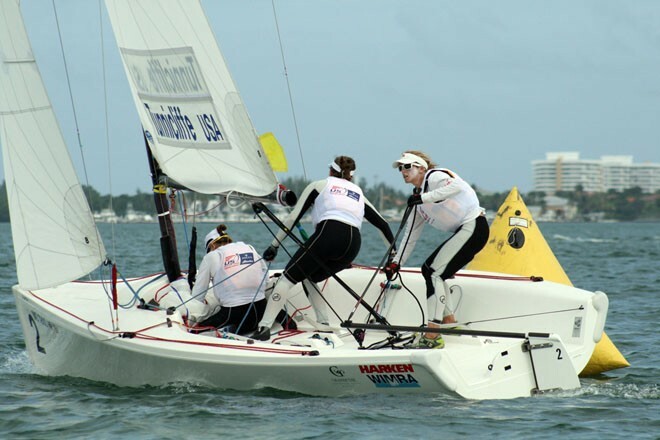 The team won the 2010-2011 ISAF Sailing World Cup Championship for women’s match racing and is preparing for the 2012 Olympics in Weymouth, England. Anna won the gold medal in Lasers in the last Olympics. She was also honored with the ISAF Sailor of the Year trophy in 2009 and is one of three Americans to win the prestigious worldwide award. Fellow Laser Radial sailor and USSTAG teammate Paige Railey won the award in 2006, and Ed Baird, the America’s Cup winning helmsman of Alinghi, won in 2007. Anna was also 2008, 2009 & 2010 Rolex US Yachtswoman of the Year. More information is available on her website. Maryellen and Mike Ferring sailed with Anna at the Bitter End Yacht Club Pro-Am and she said that she expected to be able to accept our invitation to speak to the club at the meeting on Tuesday, February 14.